Manchester United have just finished trophyless in what has been another uninspiring season at Old Trafford. The reality that the club may take a very long time to get anywhere close to the glory years of Sir Alex Ferguson is starting to hit home, and it seems Jose Mourinho will react by spending big. 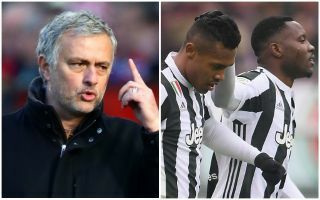 The Daily Mirror have reported that the United boss could look to spend as much as £250million on new players, and it seems that defence is a priority. Given that United have already strengthened with attacking players like Paul Pogba, Alexis Sanchez and Romelu Lukaku in recent transfer windows, this seems a sensible strategy. Manchester City recruited as many as three full-backs alone last summer, adding a centre-back in Aymeric Laporte in January. It’s vital to build strong foundations upon which your attacking stars can shine, to take the heat off the likes of Pogba and Sanchez to have to work their magic over and over again in each game. According to the Manchester Evening News, United are working on a deal to sign Tottenham defender Toby Alderweireld for £55million. This looks a superb potential signing given the Red Devils’ current woes in central defence, with Phil Jones badly exposed in the FA Cup final and Chris Smalling not having the best campaign either. Alderweireld, meanwhile, has been rock-solid for Spurs in recent seasons, helping turn Mauricio Pochettino’s team into one of the hardest to beat in the Premier League. One can only wonder how much better he could be at a bigger club and working under a defensive maestro in Mourinho.